Eagle Ford pipeline takeaway capacity is four times production and local refinery consumption – an excess of over 1.3 MMb/d. More than 20 pipeline projects are already built or under construction to move Eagle Ford production to market. Today we review recent Genscape research on Eagle Ford infrastructure and assess the takeaway balance. We have previously covered the South Texas Eagle Ford shale that stretches 400 miles from just northwest of Houston, to an area south of San Antonio (see Knocking on Heaven’s Door). Current production estimates from the Eagle Ford vary. BENTEK estimate November 2012 production at 810 Mb/d and the Texas Railroad Commission (RRC) estimate the 2012 year-to-November average production at 410 Mb/d. The difference is most likely due to a narrower RRC definition of the Eagle Ford production area and a difference in the timeliness of the data. We start by reviewing the diagram from Genscape below that shows the major pipeline infrastructure projects in the Eagle Ford. You can download a copy via the “Attachment” link at the end of the blog (as always – let us know if you have a problem info@rbnenergy.com and we will email it to you). 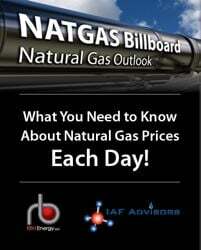 The diagram was updated this month and only covers crude and condensate takeaway not natural gas or natural gas liquids. 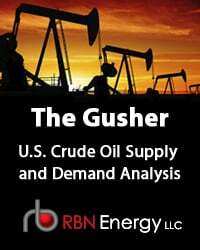 Regular RBN readers will by now be familiar with the distinction between crude oil and condensate. Recall that condensates are a group of light hydrocarbons that liquefy at atmospheric pressures and temperatures at the wellhead - having an API gravity degrees range of 55-70 (see “Fifty Shades of Condensate – Which One Did You Mean?”). The Texas Rail Road Commission (RRC) published numbers on Eagle Ford crude and condensate production for 2012 suggest that condensate was about 17.5 percent of the total. Many industry experts say that Eagle Ford condensate makes up at least 40 percent of the total. Whatever the real number it is clear that a significant quantity of Eagle Ford production takeaway capacity is devoted to condensate as well as crude oil. That is important for infrastructure development because the two liquids are frequently treated separately and if they are shipped in the same pipeline they may be separated into different batches. The gathering systems from the western part of the Eagle Ford initially converge on the Gardendale/Cotulla region – shown on the bottom right of the diagram. There are various storage facilities at Gardendale as well as a truck unloading and rail terminal that connects to the Class 1 Union Pacific railroad (with connections to Houston and points further East on the Gulf Coast). Also at Gardendale Plains All American has a condensate stabilizing plant with 185 Mb/d capacity. From Gardendale four pipelines move crude and condensate to the Three Rivers area (big yellow dot at the bottom center of the diagram) where there is a Valero refinery and storage assets such as the 600 MBbl NuStar Oakville terminal. There is also another pipeline coming on line 1Q 2013 from Gardendale to Three Rivers – the 100 Mb/d Double Eagle that is owned jointly by producer Copano Energy and Magellan Midstream. These five pipelines have 830 Mb/d total capacity – enough for the entire current Bentek Eagle Ford production estimate – suggesting that there is considerable spare capacity (we will calculate a capacity balance for the region later on in the blog). The Valero Three Rivers refinery has the capacity to process 90 Mb/d. The refinery is not yet configured to run on a complete diet of Eagle Ford light crude – it can only consume about 60 Mb/d at the moment. Valero is in the process of adding hardware to increase that capacity. In the meantime you can see on the diagram at the bottom center a NuStar pipeline that runs from Corpus Christi to Three Rivers and provides additional imported crude feedstocks for the Valero refinery. After converging on Three Rivers the takeaway pipelines continue south for 75 miles to the Gulf Coast Texas port of Corpus Christi (bottom right of the diagram). Pipeline capacity to Corpus increases by an additional 140 Mb/d over the Gardendale to Three Rivers total because there are truck unloading facilities in Three Rivers that capture additional production. Nustar is also planning to add a new terminal in Pawnee north of Pettus (which is east of Three Rivers on the map) that will gather Conoco production and deliver it to Oakville/Three Rivers for onward transport to Corpus on the existing Nustar 200 Mb/d pipeline (not shown on the diagram). By the end of 1Q 2013 the total capacity from Three Rivers to Corpus will be 970 Mb/d. We can then add another 280 Mb/d from the Koch gathering system that feeds into Pettus and then runs two pipelines down to Corpus Christi. That makes a grand total into Corpus of 1.25 MMb/d crude and condensate capacity. Corpus Christi has 790 Mb/d of refining capacity at the Flint Hills Resources, Valero and Citgo refineries. Between them these refineries consume approximately 172 Mb/d of Eagle Ford crude. The three refineries were previously configured to run heavier crudes than Eagle Ford. As we explained in Turner Mason and the Goblet of Light and Heavy refineries running heavier crudes cannot simply switch over to run light crude without losing throughput capacity. So even though these refineries are close to Eagle Ford production, they still need further investment to take full advantage. The Flint Hills Resources refinery (a subsidiary of Koch) is the furthest along in that process and is able to run 142 Mb/d of Eagle Ford crude versus its 300 Mb/d capacity. 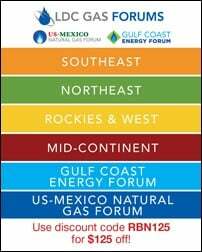 With incoming crude and condensate pipelines able to carry 1.25 MMb/d and local refinery consumption of 172 Mb/d that leaves about 1.1 MMb/d of delivery potential into Corpus with only one avenue of escape – the Gulf of Mexico. 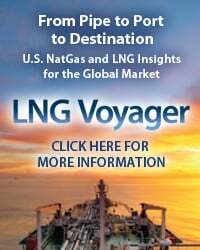 As a consequence of the actual and potential flow of crude and condensate from the Eagle Ford into the Port 5 new marine terminals are being developed in Corpus, belonging to Flint Hills (Ingleside), Nustar (North Beach), Trafigura (Texas Dock and Rail), Martin Midstream, Magellan Midstream and Plains All American. These marine terminals will be the subjects of an upcoming blog on Corpus Christi. According to Port of Corpus Christi freight data, the total quantity of crude oil shipped out from Corpus increased 19 fold between year-to-date November 2011 and year-to-date November 2012 (the latest data) from 2.1 MMBbl to 36 MMBbl. All of that crude is currently destined for US ports because of rules governing US crude oil exports (see Fifty Shades Lighter – The Condensate Export Problem). 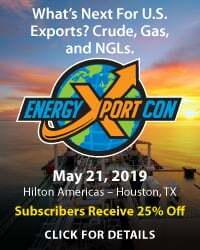 The only exception to those rules is Valero that was recently granted an export certificate to move crude from Corpus Christi to its refinery in Quebec, Canada – although they have yet to ship a cargo. 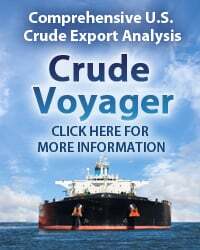 The freight cost to move crude by tanker from Corpus to Quebec (on the East Coast of Canada) is estimated at $2/Bbl – significantly less than the $3/Bbl plus cost of shipping crude from Corpus to US East Coast ports (e.g. to Philadelphia or New Jersey refineries). The shipping cost to Canada is lower because of the Jones Act that requires cargoes shipped between US ports to comply with more expensive regulations (see The Sea and Mr. Jones). The high cost of Jones Act shipments as well as the scarcity of qualified vessels is restricting tanker movements out of Corpus although Koch is understood to have a charter operating between Corpus and New Jersey (Phillips 66 Linden refinery). Most shipments out of Corpus are on smaller vessels or coastal barges moving crude and condensate to Houston area refineries or further along the Gulf Coast to St. James, LA. We have recently discussed the route organized by Plains to move condensate from Corpus to Western Canada via St. James to be used as diluent for heavy bitumen crude (see Plains Trains and Diluent Deals). Back to the Genscape diagram. The alternative route to Market besides Corpus Christi is by pipeline to Houston. The two main pipelines to Houston are from the western part of the Eagle Ford – geographically closer to Houston. They are shown in the top half of the diagram. The first is the 350 Mb/d Enterprise Product Partners (EPP) crude pipeline from Lyssy to Sealy that links to the EPP Rancho pipeline. Rancho delivers to Houston area refineries and connects to the EPP ECHO Terminal (see ECHO and the Blending Men). The second pipeline into Houston is the 300 Mb/d Kinder Morgan Crude and Condensate Pipeline that delivers condensate to Houston Ship Channel refineries and Kinder’s Galena Park terminal and planned condensate splitter. We recently covered the planned condensate route via Kinder’s Eagle Ford pipeline to the Explorer Pipeline in Houston then to Western Canada via the Cochin pipeline (see It’s A Kinder Magic). Neither of these Houston takeaway routes are currently linked to the pipelines moving Eagle Ford crude from Gardendale to Corpus but Plains and Enterprise are building a 350 Mb/d pipeline from Three Rivers to Lyssy that will allow crude to flow either to Corpus or to Houston. As indicated on the Genscape diagram (top right) Houston and Texas City refineries have over 2 MMb/d capacity. During this year (2013) after completion of the Ho-Ho reversal it will also be possible to ship crude from Houston to refining centers in Port Arthur and further West to Louisiana by pipeline (see Oh-Ho-Ho It’s Magic). Crude and condensate can also be shipped to other Gulf Coast refineries from Houston by barge. We can make the reasonable assumption that the Kinder Morgan pipeline is dedicated to condensate and that much of that production is being processed in Houston, headed to Canada as diluent, or both. That leaves the 350 Mb/d on the EPP crude pipeline to be absorbed by Houston refineries or moved further East to Louisiana where there are more refineries configured for light sweet Eagle Ford crude. With all these pipelines being built we are going to look next at the balance between Eagle Ford production and takeaway capacity. This exercise is actually more complex than you might think. There are two big challenges. The first is to define actual Eagle Ford production. As we pointed out earlier there are differences between RRC estimates (410 Mb/d) and commercial estimates such as BENTEK’s (810 Mb/d). We fortunately found a third estimate from Turner Mason that puts average production for 2012 at 560 Mb/d – which splits BENTEK and RRC down the middle so we will assume that the actual number is about 600 Mb/d. The second challenge is to determine how much of the Eagle Ford production is condensate and how much is crude. It would be great if these two were separated out accurately and if the pipelines listed one of the other as their only commodity. Life is never so easy so we will just work with the 600 Mb/d for crude and condensate together. Yes – you read that right – using these numbers more than four times as much capacity as needed! Even supposing we now take the higher BENTEK production estimates (810 Mb/d) then the production requiring transport increases to 620 Mb/d but that is still only 1/3 of takeaway capacity. Indeed according to BENTEK production forecast estimates the current pipeline takeaway capacity will comfortably handle Eagle Ford production until 2016 at least. Which naturally begs the question – what is going on? Why would otherwise rational midstream companies build too much takeaway capacity if the production is not expected to support it for at least another 3 years? Our guess is that developing this infrastructure – relative to (say) building longer pipelines out of North Dakota was a lot less expensive. There is also a lot of recycling and repurposing of existing pipelines versus greenfield construction in South Texas. That is because of the long history of oil and gas development in the region. Also the Eagle Ford development is so close to the large Gulf Coast refining market that midstream companies likely see this as low hanging fruit that they have to participate in for fear of missing the boat. Part of the construction frenzy can be attributed to the Master Limited Partnership (MLP) tax structure that makes new investment in infrastructure relatively cheap – especially in an era of low interest rates (see Masters of the Midstream). The Enterprise/Plains joint venture decision and consolidation such as NuStar’s acquisition of TexStar in December 2012 and this week's acquisition of Copano Energy by Kinder Morgan suggest that midstream companies may have tempered their giddy enthusiasm over the past few months. Eagle Ford production of crude and condensate close to the Gulf Coast refining market is increasing rapidly. Infrastructure to get that production to market has shot up even faster – to the point where today the pipeline capacity is as much as four times the production. That is one reason why you don’t hear much about rail transport out of the Eagle Ford – it is not required. In the next few years Eagle Ford production can continue to increase comfortably without fear of capacity constraints. This is the opposite of the situations we have seen in the Bakken (where a feast of rail was required to overcome the famine of pipelines) or the Permian basin (that is still constrained waiting for new capacity to come online). The flood of crude expected in Houston over the next two years could exert downward pressure on prices. That will hurt Eagle Ford producers along with all others, but because they are closer to market their transport costs are lower and they will be in a better position to compete for market share on price. 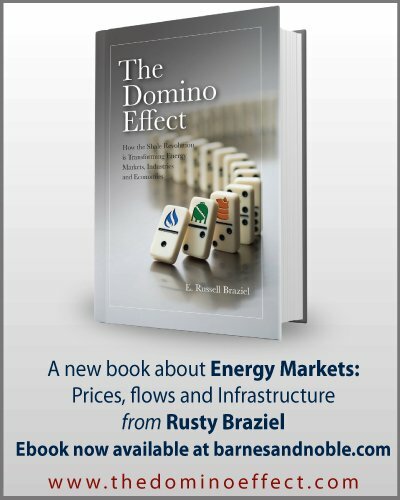 That will be good news for Eagle Ford midstream players because their revenues rely on volume flows not prices. Maybe there is method to the overbuild madness after all.